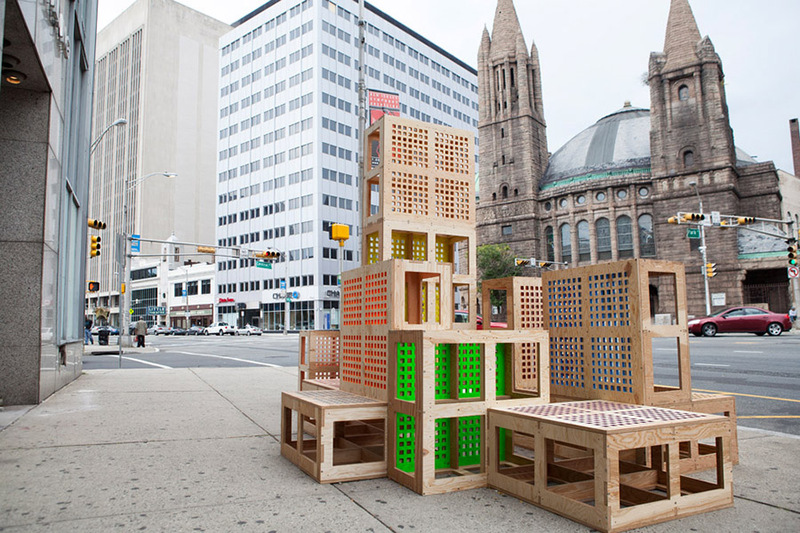 A large scale public sculpture, Stack and Rack, consists of sixteen modular blocks assembled in two variations on October 6th and 13th during Newark Open Doors in Newark, NJ. Assembly began promptly at 11AM on each Saturday and was on view until 6PM in the city’s downtown arts district. The sculpture could be arranged in an infinite number of configurations to encourage viewers to interact with their urban surroundings. Stack and Rack amplified notions of urban play and social intervention through the sculptures’ iconic forms and wide range of bright colors. 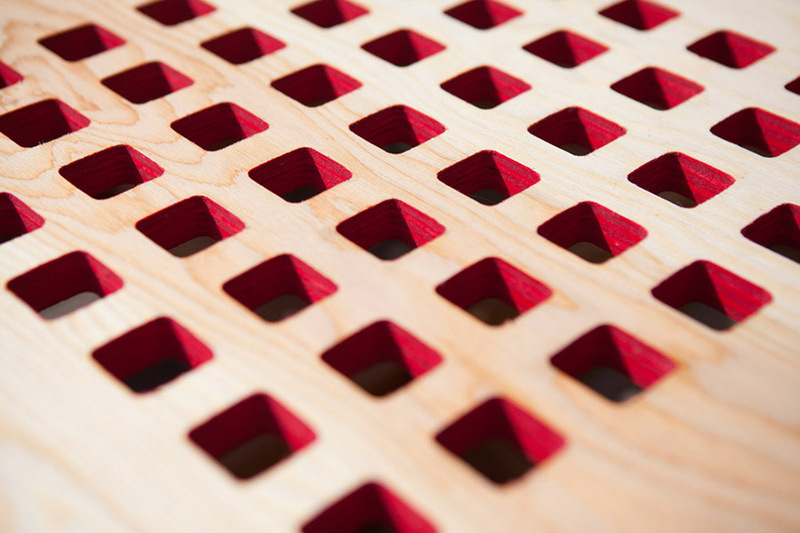 Configurations drew attention to the mundane via their positioning as spatial markers and asked viewers to reconsider familiar surroundings with fresh eyes. Stack and Rack augments existing gallery and studio spaces by occupying a locale that is accessible to a wide-range of viewers as a means to democratize the art-viewing experience. Seton Hall University, Newark Arts Council, Discover Jersey Arts and the Puffin Foundation.